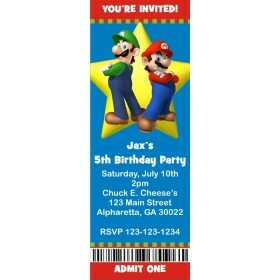 When your guests receive one of our Super Mario and Luigi VIP Pass Invitations, you'll make them feel like a celebrity! 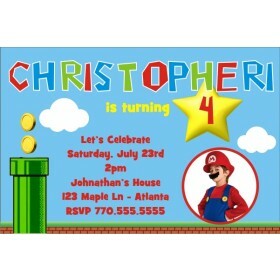 This invitation features a 4x6 invitation inserted into a clear vinyl pouch! 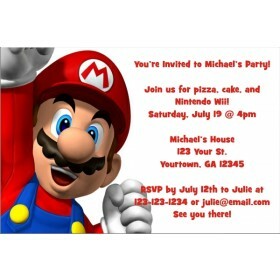 A black lanyard is included. The lanyards are break-away (quick-release) for safety. 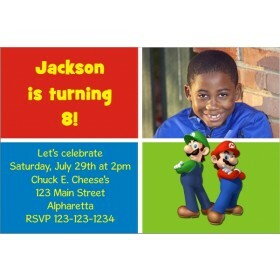 You can personalize this invite with a photo!